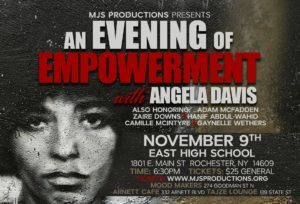 Angela Davis will be in Rochester on Wednesday November 9, 2016 for the MJS production’s event ” An evening of Empowerment” event. Angela Davis is an African-American political activist, scholar, and author. 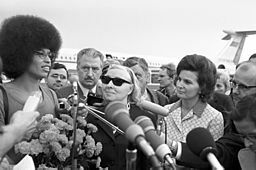 She emerged as a prominent political activist in the 1960s and and an active leader of the Communist Party USA, with close relations with the Black Panther Party through her involvement in the Civil Rights Movement. She has though at San Francisco State University, Mills College, UC Berkeley, UCLA, Vassar, Syracuse University the Claremont Colleges, and Stanford University. Mostly recently she spent fifteen years at the University of California Santa Cruz where she is now Distinguished Professor Emerita of History of Consciousness – an interdisciplinary Ph.D program – and of Feminist Studies. Angela Davis is a founding member of Critical Resistance, a national organization dedicated to the dismantling of the prison industrial complex. Internationally, she is affiliated with Sisters Inside, an abolitionist organization based in Queensland, Australia that works in solidarity with women in prison. 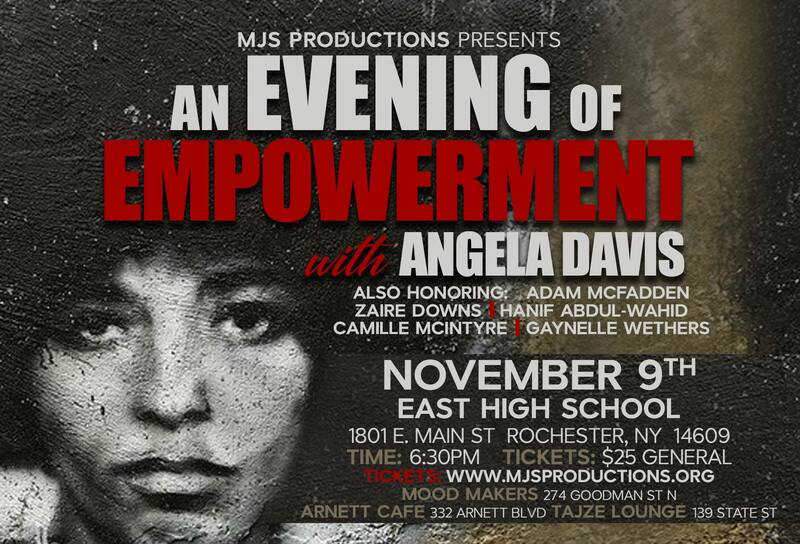 For more information about the event and tickets visit here.